This past month I won Rockies tickets at a self defense class that I took and it was amazing!! We decided to take our wonderful friends Joci and Tyson and leave the kiddos at home with her awesome parents!! 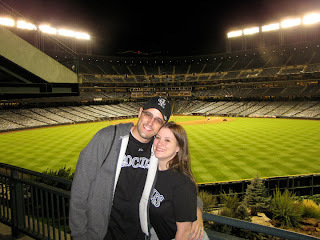 It was such a fun relaxing night and it helped that the Rockies won 9-2 over Cincinnati.